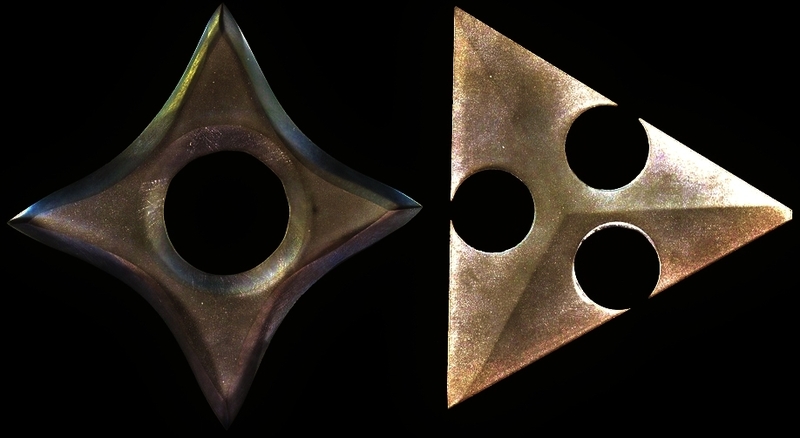 Carved Glass Shurikens. Beautiful, fragile, and deadly. Formed and sharpened by hand from a single piece of sheet glass. All Shurikins are hand made so many are one of a kind or of a limited run, there is no mass production here and most pieces are made to order. Prices range from $40-$125 bases on difficultly to produce. Commissioned shaped welcome, please contact me for details.